Although my year long flower project has ended, my flower making crafts haven’t. 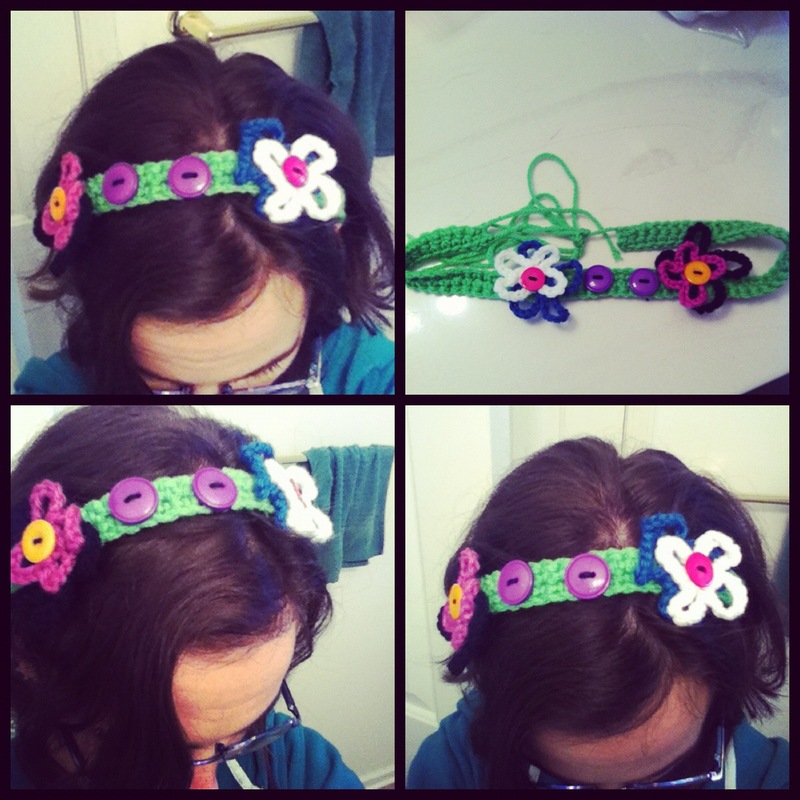 This was a headband I made the other day that I added flowers too. It has been a few days since I have ended my year long project. This project was fun and exhilarating. Doing this year long project taught me that once I start something I should always see it through. Makes me more determined and attentive to projects or ideas that I have started. Although, I have finished this project I still find myself looking for ways to make a flower and it also taught me to appreciate them even more than I did before. I never thought that I could commit myself to something like a year long project, much less committing myself to making one particular thing everyday and not get tired of that thing. 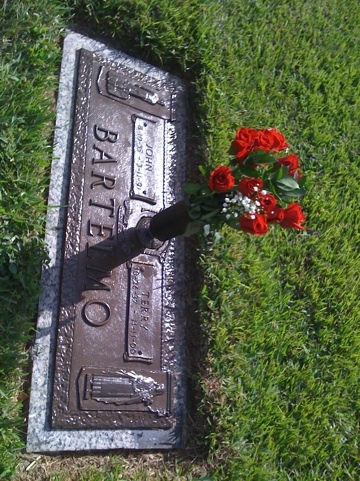 Doing such a project made me look at art, projects, flowers, and crafts in a whole new way. It taught me that the most ordinary objects can be turned into something it isn’t. The 365 Journal that I used throughout this whole project also opened me up to looking at ordinary things as art or supplies for art. This also pushed me to pick up a skill or two that I had never tried before and try it out. I have ventured into wood burning, knitting, quilling, and many other art forms. It is never too late to pick up a new skill and excel at it. 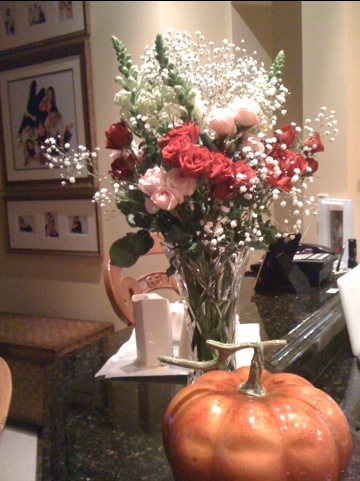 I am still going to continue to make flowers and post them here on this site. So please keep following for the Flower Aftermath. Thank you to everyone who took this flower journey with me. Today is my last flower! 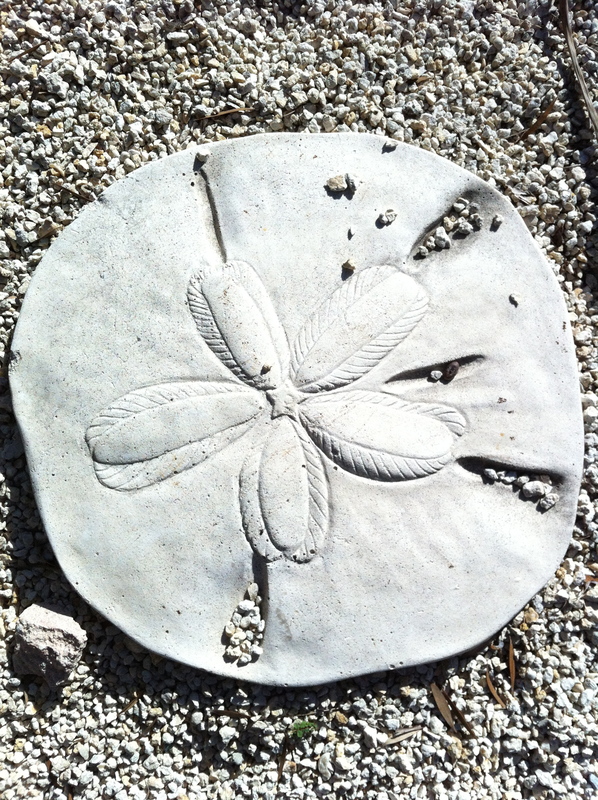 and they have these cool sand dollar stepping stones with a picture on them that resemble a flower. I do want to thank everyone who followed my blog for the whole year and I do hope you enjoyed my flowers. I will be keeping this blog active so please come back and check in on my flower making. 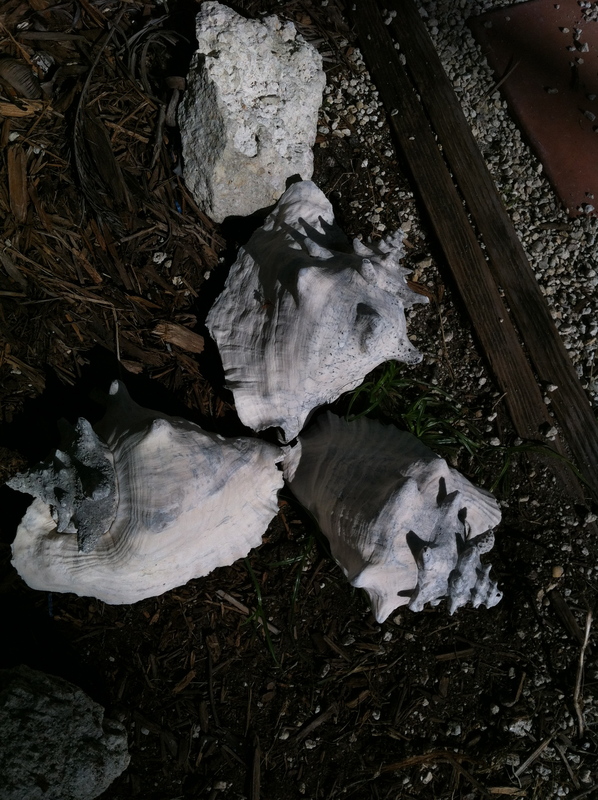 I am in the Florida Keys visiting my parents and they have all these conch shells around and I thought they would make a great flower. 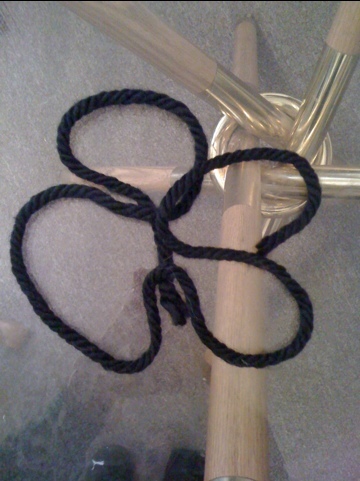 Today I am traveling to Florida so I found this thick yarn and made a quick flower. 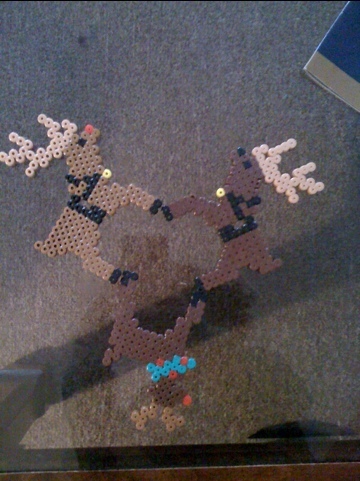 I made these reindeer for Christmas and thought I would be cool to make a flower with them. 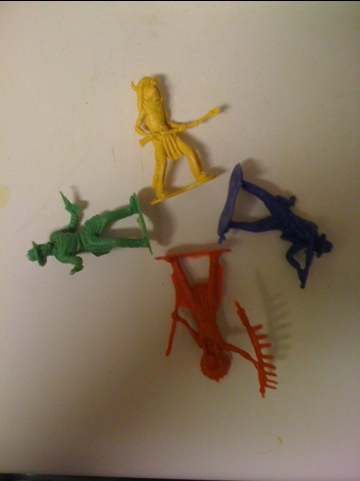 I bought these action figures to make a bowl with and thought I would use some to make a flower with before they head to the oven. Last year one of the rarest flowers in the world blooms. Article below. The Franklinia alatamaha had been extinct in the wild since the 1800s. One of the rarest flowers in the world which is now extinct in the wild has been successfully grown in a part of Britain where it disappeared 200 years ago. 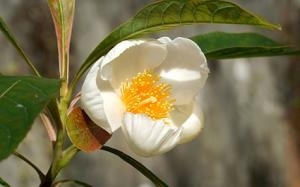 The Franklinia alatamaha – known as the Franklin tree – has large fragrant, cup-shaped, snow-white blooms and is part of the tea family. It was first discovered in 1765 by Philadelphia botanists John and William Bartram who named it after close friend Benjamin Franklin. They found the Franklin tree on the banks of the Altamaha River in Georgia, USA, but it has been extinct in the wild since 1800s. The plant is now only found in a handful of places on the planet but has now been cultivated at the Trewithen Estate nursery near Truro, Cornwall. A specimen was brought back to the nursery in 18th Century but soon disappeared and was feared lost forever. But staff say three shrubs have now flowered and they expect another ten to flower next year. Nursery manager Luke Hazelton said: ”It is such a rare shrub and extinct in the wild. To see it flower in this country is of great interest to plant lovers. The tree, which can withstand freezing temperatures but prefers warm weather, can grow up to 10m tall but more commonly reaches between 4.5m and 7.5m. It has oblong, succulent leaves and flowers abundantly in native North America from midsummer until early autumn. A spokesman for the Royal Botanical Gardens said the plant is very difficult to grow and is ”extremely rare” in Britain. He said: ”The plant is very delicate and usually only stands a chance if it is kept in a greenhouse. ”However in Cornwall, the environment would make it possible to grow outside.